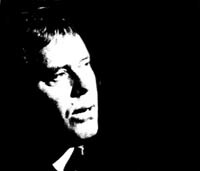 TOM T.HALL was born in Kentucky in 1936. After stints in the army and as a radio DJ he moved to Nashville in the early sixties, where he worked as a songwriter, his big break came in 1968 when he wrote Jeannie C.Riley's massive international hit Harper Valley PTA. Around the same time, his own recording career started to take off. He was signed to the Mercury label and over the next decade enjoyed a near unbroken run of country hit singles. He signed to RCA in 1977. His fifth album for Mercury was 'In Search Of A Song' and demonstrated the depth of Hall's muse, where he created unforgettable songs from simple, everyday experiences. Two years later, he released 'The Rhymer And Other Five And Dimers'. The first track, 'Ravishing Ruby' gave Hall another country No.1. On both albums Hall receives backing from Nashville's elite, including Chip Young, Harold Bradley, Pete Drake and Charlie McCoy. Hall went into semi-retirement in the mid-80s, a country legend who never realised the crossover success he deserved. ROBYN HITCHCOCK first recorded in 1976 with the Cambridge-based band The Soft Boys. In 1981 the band broke up and Hitchcock started his solo career, recording both under his own name and as Robyn Hitchcock & The Egyptians (which includes Andy Metcalfe and Morris Windsor from The Soft Boys). In 2002, also, Hitchcock re-united with Kimberley Rew, bassist Matthew Seligman, and Morris Windsor for The Soft Boys release of Nextdoorland. Hitchcock has also collaborated on film music, writes short stories, and paints. They have been called Ireland's answer to King Crimson. SKID ROW were formed in 1967 by Brendan 'Brush' Sheils (bass) and featured Phil Lynott on vocals, Bernie Cheevers on guitar and Noel Bridgeman on drums. Cheevers was replaced by Gary Moore in 1969 after Moore had demoed by playing tracks off a Bluesbreakers album. The band's first single was released that year on the independent Dublin Song label. The early singles were subsequently re-recorded for their first album 'Skid' in 1970. Lynott had left the group before the first album but appears on the early single 'New Places, Old Faces' and soon after formed Thin Lizzy (Moore would join that band in 1977-8). The band's second single 'Saturday Morning Man' was produced by Irish legend Donal Lunny (later to feature in the Irish traditional revival with Planxty and the Bothy Band). Skid Row's sound developed as a blend of country ballads, heavy rock, and fusion influenced by jazz music, notably Oscar Peterson and John Coltrane. By late 1969 they had signed to CBS. In 1970-1 they recorded four studio sessions and two concerts for BBC Radio, only the second of the two concerts recorded in January 1971 survives. The second album, '34 Hours' was released in 1971 but their last recording with Moore on guitar was never released until 1990. 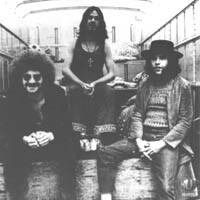 The band split in 1972. CONNIE SMITH was born in Indiana in 1941 and appeared on local TV before her big break in 1963 when she was spotted by country star Bill Anderson at a talent show. Several months later Connie went to Nashville and although rejected by Anderson's label Decca she signed with RCA in 1964. With producer Bob Ferguson she then cut four songs including 'Once A Day' (written by Anderson) which became her first hit, a number one record that stayed at the top of the country chart for eight weeks. It was the first record by a female country artist to debut at number one. 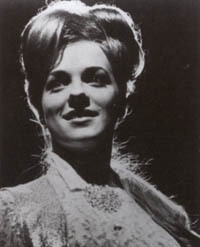 It featured on her debut album 'Connie Smith'. There followed a string of hits and she toured extensively, also appearing in country music films and a regular on TV. At the turn of the sixties, success and touring had taken its toll and she decided to devote more time to her family and the church. In the seventies she recorded two gospel albums for Columbia (with whom she signed in 1973) but in spite of one minor chart hit her career remained low key and she spent the eighties raising her children. In 1998 Warner Brothers released 'Connie Smith' which featured ten tracks, nine of which she co-wrote, and co-produced by the country singer Marty Stuart. They had married in 1997.